A bid to make a popular spot at Dunbar harbour more accessible to visitors should be completed in time for Christmas, according to a Harbour Trust director. The town’s harbour trust submitted a planning application to East Lothian Council earlier this summer to see improvements carried out to the site of Robert Wilson’s Propeller at Victoria Harbour. Steven Anderson, one of the Dunbar Harbour Trust (DHT) directors, was delighted to see the scheme get planning permission. He said: “Planning permission was given at the end of last month. The new design has been adapted following a number of meetings with residents and members of the fishing community. Comments from the public included the idea of creating handrails to the steps from the harbour side to improve access to the propeller, more bins and additional seating. Mr Anderson was hopeful work would be completed before Christmas this year, with attention then turning to the larger project surrounding the historic battery on Lamer Island. The battery, which contains 16 mounted guns of different calibre, was created on the island in 1781 and remained there during the Napoleonic Wars. It was a white elephant, and never fired a shot in anger. It was preserved, in a disused condition, throughout the building of Victoria Harbour in the 1840s, when the island itself became integrated into the new harbour’s wharfage. Dunbar Harbour Trust’s project would focus on four key themes. The trust aims to improve access to and inside the Battery; ensure protection of the existing structure of the Battery; make the most of the existing historic features, and use this project as a catalyst to improve the general harbour environment for all users. 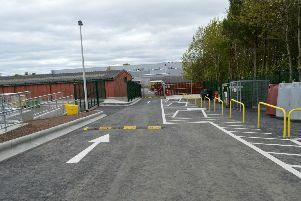 Mr Anderson remained keen to see work on the project completed within the next 12 months.